Kinsa brings modern design and intelligence to the world’s most common medical device, making temperature taking easier for parents and more enjoyable for children. 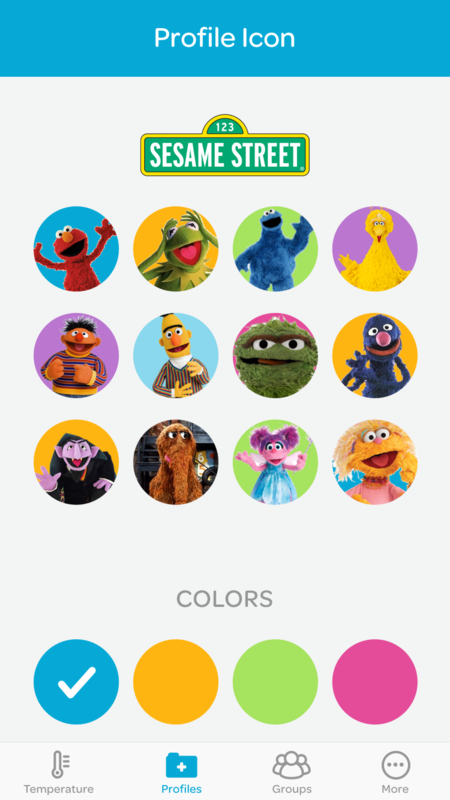 Kinsa’s technology, design and mission are integrated across key features of the Elmo Smart Ear Thermometer. While most traditional ear thermometers are sterile-looking and have numerous buttons, settings and requirements, Kinsa’s Elmo Smart Ear Thermometer has only one button, one setting, an easy-to-clean design that eliminates the need for probe covers and a big, backlit LCD screen for ease of use at any time of day or night. 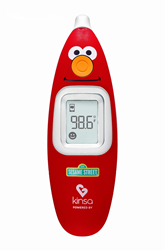 Kinsa’s Elmo Smart Ear Thermometer is $59.99 and available for order starting today from its website. It will be on Amazon and on shelves in top Target stores nationwide as part of their new “connected baby” initiative starting in August 2016. 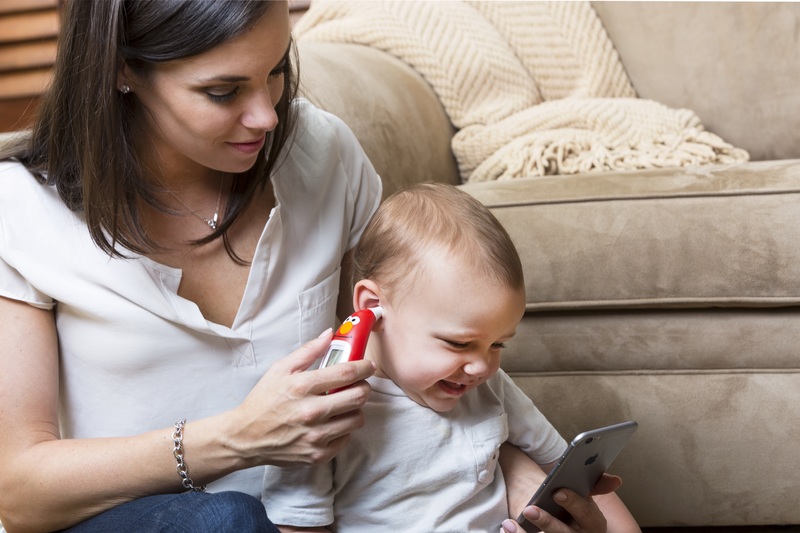 For more information on the company or the new Kinsa Smart Ear Thermometer, please visit Kinsa at http://www.kinsahealth.com. For media inquiries, please contact Kimberly Angell of Wish Public Relations at kim dot angell at wishpr dot com or (415) 471-7272. 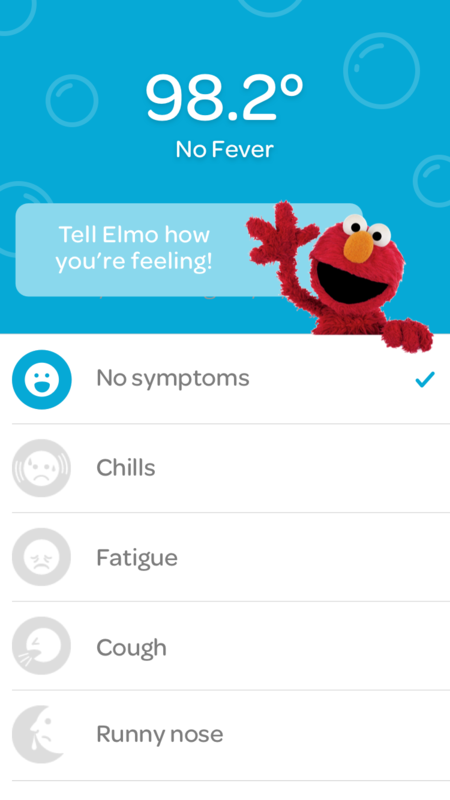 Kinsa’s smartphone-connected thermometers bring peace of mind to parents and health-conscious consumers by quickly and accurately recording sickness details and providing guidance on what to do next. Kinsa shows common illnesses that are circulating within communities, and is advancing efforts to create a real-time health map that will detect potential epidemics before they spread. Kinsa was awarded the Grand Prize in Medical Innovation by the Cleveland Clinic, and is available in nearly 7,000 retail locations in the US and Canada. Kinsa was founded in 2012 by Inder Singh, former EVP of The Clinton Foundation’s Health Access Initiative. http://www.kinsahealth.com.